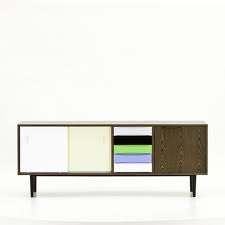 We adore this Arne Sideboard which is based on the classic mid century designs of Arne Vodder. This version, designed by Robert Cain using colour and classic design beautifully, is just so stylish. An easy way to transform any room into a chic living space. Supplied Fully Assembled. 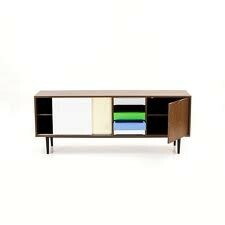 Walnut Veneer with adjustable shelves, and matt coloured drawers. Dimensions: 165 x 41 x 65cm. Estimated delivery time: 1 week.